New Delhi Aikido Dojo is happy to announce that we are Organizing our next Exclusive Aikido Seminar from the 27th to the 29th of January, 2015. 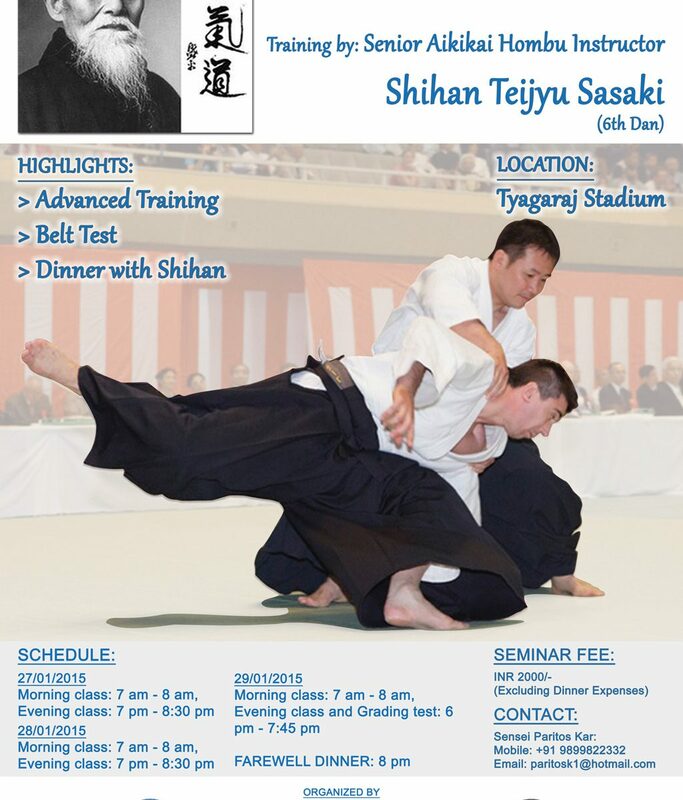 The three day seminar on advanced Aikido Techniques will be followed by Grading Tests to evaluate the Indian students practicing Aikido. On the last day we will be organizing an exclusive Dinner with the Master.